Top Fall Foods to Eat for Energy! Cozy throws, pumpkin GALORE, crisp autumn air.... can you say all things Fall!? We are LOVING Fall here at The Blossoming Mommy and Baby HQ and can't wait to share our top lineup for all things Fall Foods + POWER PACKED ENERGY! Below you'll find a list of our top 5 recommendations for seasonal foods this fall! From antioxidants to vitamin C, it's time to grab your cart and get busy, girl! 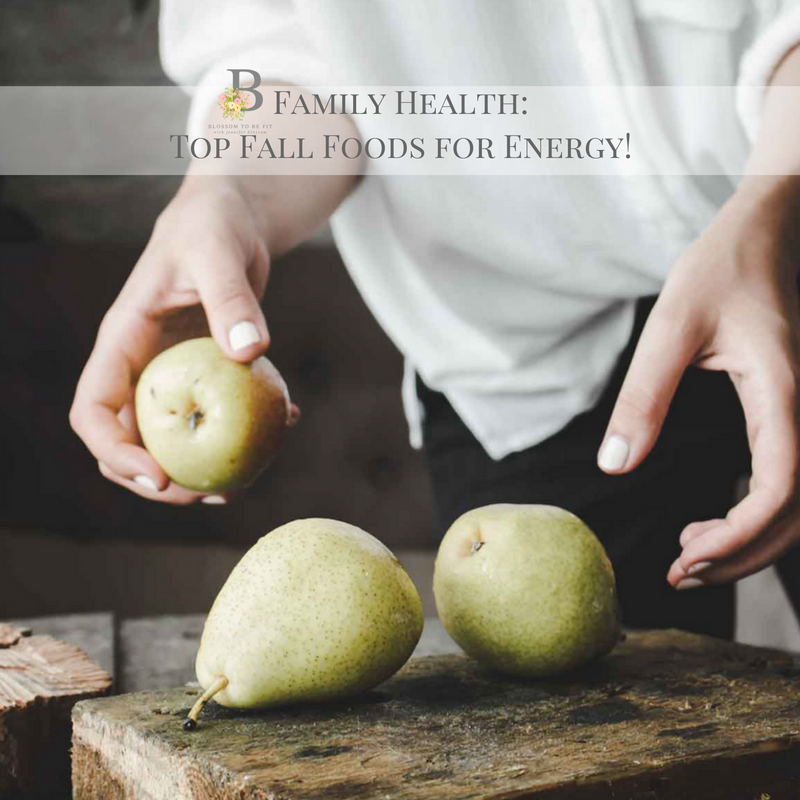 Family Health: Top Fall Foods to Eat for Energy! Excellent source of antioxidants, vitamin C, vitamin K, and other essential vitamins. Acts as a cancer-fighting agent, strengthens the heart, and aids in memory! Ideas for use: eat raw, top smoothies with, sprinkle over yogurt, infuse sparkling wines or drinks with! Jam packed with vitamin C, K, B6, B1, potassium, omegas, and other key essentials! This nutty and hearty vegetable should be a staple in your household this season. Ideas for use: thinly slice brussels spouts, drizzle with olive oil, balsamic vinegar, garlic powder, salt, and pepper. Bake at 375 for 20 minutes or until golden + crispy! Okay, Okay... not quite pumpkin spice coffees, but pumpkin in itself can serve as a powerhouse ingredient for you and your family this fall! Pumpkins are great for heart health, can help to improve vision, lowers blood pressure, is great for the skin.. and more! Ideas for use: Bake + eat the puree! Season with cinnamon + don't forget to season and bake the pumpkin seeds as well :). Butternut, winter, spaghetti, acorn, the list goes on! Squash is a staple to all Fall pantries and will bring you Vitamin A, B, C, E, folate, potassium, calcium, iron and more! Ideas for use: Bake + season with salt, pepper, and coconut oil! For spaghetti squash, use as a replacement for noodles. Full of fiber, vitamin B, C, K, antioxidants, and more! Ideas for use: smoothies, plain, seasoned with cinnamon, baked in crisps, frozen + sliced. There you have it, ladies! Now go and get busy! Don't forget, you can listen to this article via The Blossoming Mommy and Baby Show HERE! Be sure to download + subscribe on your podcast app!